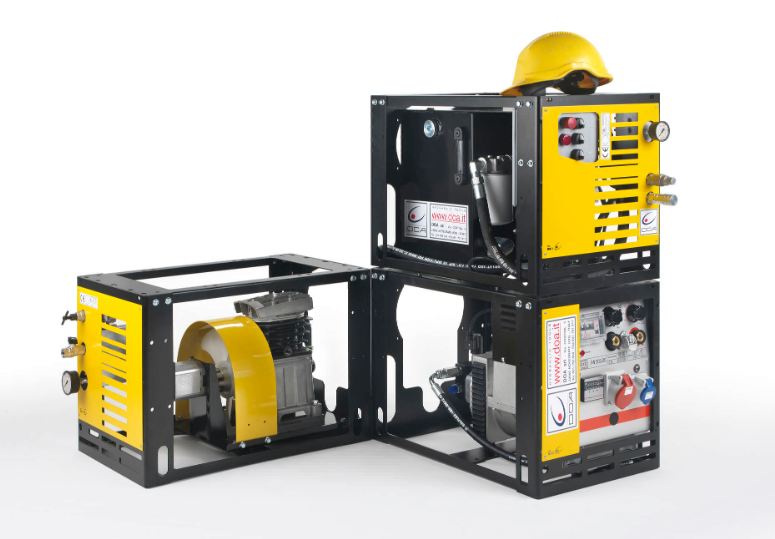 How to choose a hydraulic power unit? 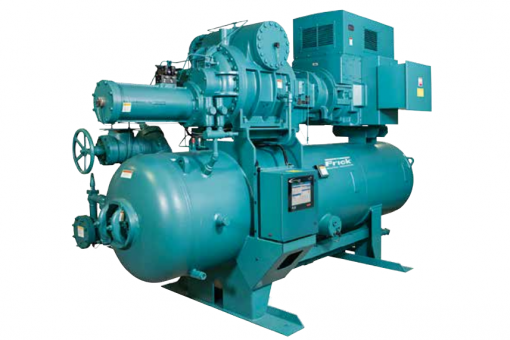 How should your hydraulic power unit be powered? Which size should you choose for your hydraulic power unit? What are hydraulic power units used for? Hydraulic power units, in hydromechanics, are a set of hydraulic components used to supply a hydraulic system or network with oil at a chosen flow rate. Composed mainly of a motor, tank and hydraulic pump, these units can generate a significant amount of power, enough to drive almost any type of hydraulic cylinder or motor. Nominal [TB1] power: indicated in watts (W) or kilowatts (kW), it is the power of the motor that drives the hydraulic pump. Nominal flow rate: expressed in liters per second (l/s) or liters per minute (l/min), it is the volume of liquid that the pump can send into the system in a given time. Nominal pressure: expressed in pascals (Pa) or bars, it is the force that the hydraulic unit can withstand and depends on the power of the engine. 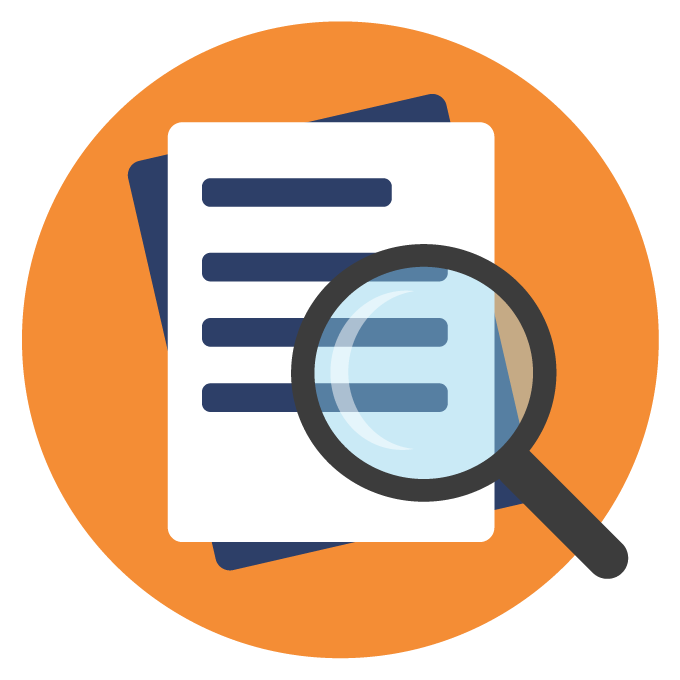 It is important to properly calculate the power of your unit because, even if you may find it advantageous to have extra power, for example to meet other needs later on, excessive pressure can damage the components of your hydraulic system. However, if your hydraulic power unit is not powerful enough, the equipment it needs to supply will not be able to operate properly. 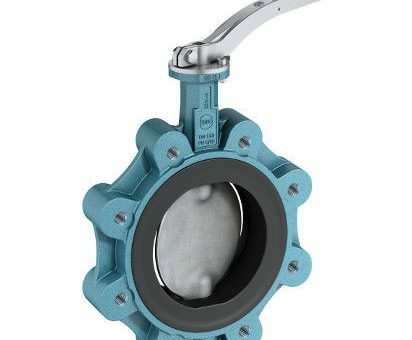 You must also estimate the size of the tank, as its capacity must be sufficient to supply the entire hydraulic system according to the desired flow rate and utilization rate. S 2: Short-term duty that generates little or no heating (running time depending on the load). S 3: Intermittent duty in order to control heating (running time as a percentage of a 10-minute cycle). Depending on the available energy sources, you must then choose the type of motorization: electric, combustion or air-driven. Finally, depending on the conditions your hydraulic power unit will have to operate in, you can determine the options you will need. For example, you must plan for oil preheating if the hydraulic power unit is to operate at negative temperatures. 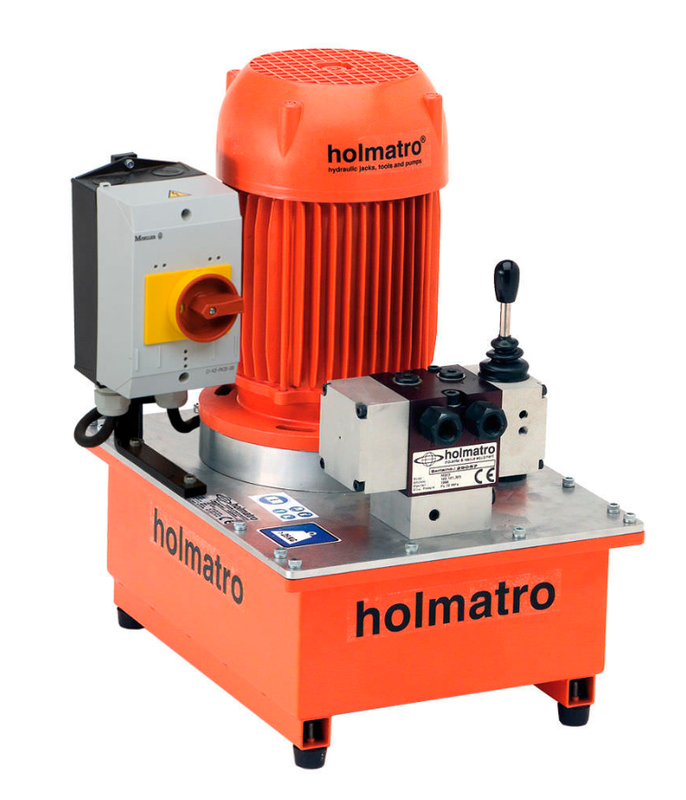 A hydraulic power unit incorporates a motor to drive the hydraulic pump. This is usually an electric motor or a combustion engine, but you can also find units powered by air or with a hydraulic motor to obtain a higher pressure hydraulic circuit from an existing circuit. Electric motor: you can find hydraulic power units with electric motors powered by alternating current (AC) or direct current (DC). Direct current motors are used on hydraulic power units mounted on vehicles (i.e. commercial vehicles or forklifts) and are powered by a battery, while alternating current motors are used on hydraulic power units in workshops or factories. 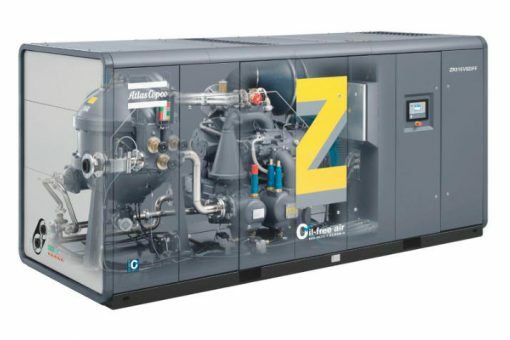 Combustion engine : when you don’t have an electrical source available and the hydraulic power unit is intended for outdoor use, you can choose a hydraulic power unit powered by a gasoline, diesel or gas combustion engine. The combustion engines on the market cover a wide range of needs. For example, a single-cylinder gasoline engine can develop power starting at 4 HP (about 3 kW), and you can find diesel or gas engines over at 100 HP (about 73 kW). Air-driven: You can consider using an air-driven hydraulic power unit when you have a pneumatic circuit available, which allows you to obtain pressure ratios up to 400:1. This solution can be advantageous if your hydraulic power unit has to operate in an explosive atmosphere, for example. Micro hydraulic power units: they generally have a maximum flow rate of 5 l/min (liters per minute) and a maximum pressure that can reach up to 250 bar. Micro hydraulic power units are compact units designed to be mounted on small motorized machines. They are generally equipped with direct current electric motors of 800 watts maximum. Mini hydraulic power units: they generally have a maximum flow rate of 30 l/min (liters per minute) and a maximum pressure that can reach up to 350 bar. They can be stationary or mounted on wheeled frames so they are mobile. They are generally equipped with direct current electric motors of 5.5 kW. 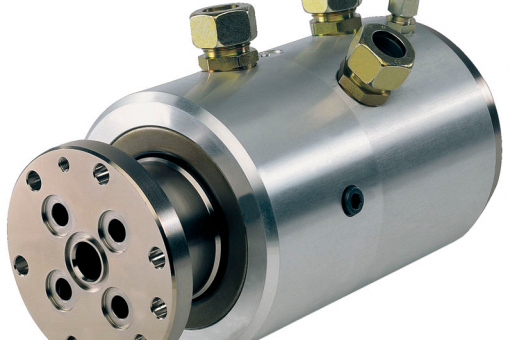 Standard hydraulic units: they generally have a maximum flow rate of up to 100 l/min and a maximum pressure of up to 4,500 bar for some units, although most are limited to operating pressures between 250 and 700 bar to meet most needs. They can be mobile when their chassis is equipped with wheels, transportable when the chassis is designed to be handled with a pallet truck, or stationary for the largest units. 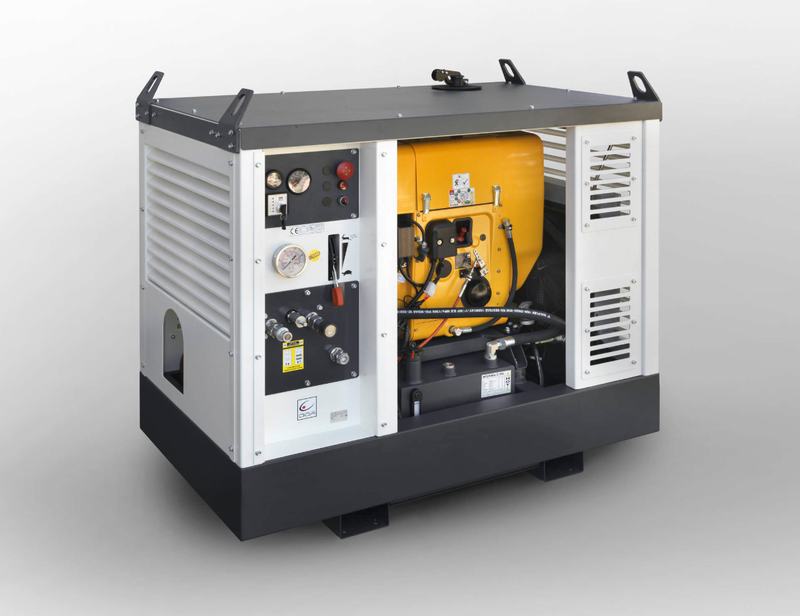 The most powerful hydraulic power units are usually equipped with diesel engines. In order to obtain better performance and a longer life for your hydraulic power unit, the oil must be properly cooled. For example, an air cooler can be installed near the filtration unit so that the oil is constantly within the unit’s operating temperature range. Similarly, in some cases, it may be necessary to heat the oil, especially when starting up the hydraulic power unit.